Make your breakfast count tomorrow morning. Perfect sunny side up. It brings me a mysterious sense of euphoria. I think it’s because when I was younger I rarely had such rich breakfasts, especially eggs, so they got associated in my mind and body with summer vacation. My body remembers that and recreates the feeling. When the week is going crazy and I feel I need to stop and reconnect with myself I make sunny side up on toasted bread. Special treat for the family, too, especially for a week day. 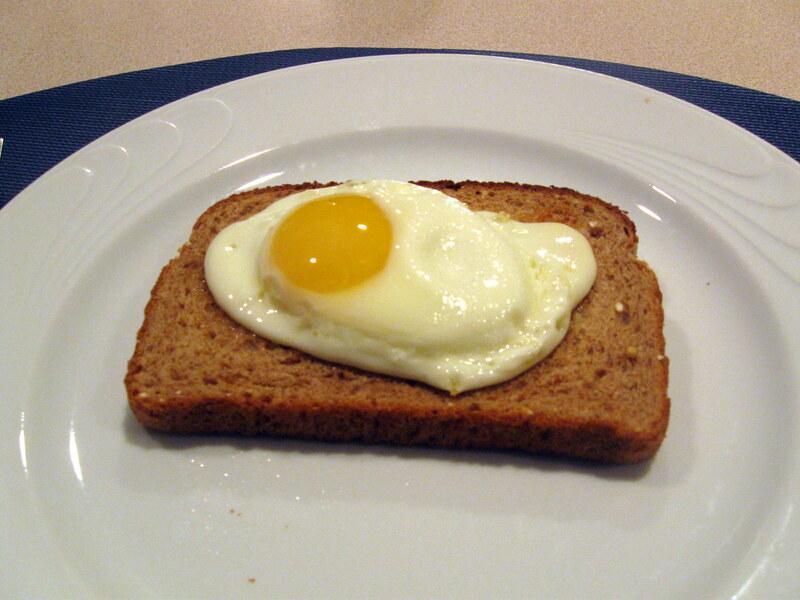 How to make: I use canola oil when I make my sunny side up as you see it in the picture. Make sure the oil is hot when you crack the egg in. Add salt and, optionally, pepper. Then, spoon some oil over the yolk to allow it to cook. If it turns white, you’ve cooked it too long and it won’t spill nicely on the bread 🙂 When I don’t want to put it on or eat it with bread, I cook it with olive oil, just a few drops. Then, I crack the egg, let it cook on the bottom side, turn it upside down, let it cook for a few more seconds and serve. It doesn’t look as inviting but it’s still yummy and much lower in calories. 🙂 Και όταν τα αναποδογυρίσεις γίνονται “μελάτα” απλώς δε φαίνονται το ίδιο ωραία! Kind of too soft for my taste. I like mine somewhere between soft and medium. They should be pretty soft but not spilling all around the plate. But I agree this is a royal breakfast.